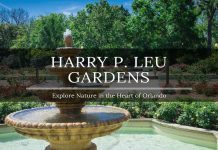 Heading to Orlando and excited about an amazing Disney World experience? But then you take a step back and realize that your budget just isn’t going to allow you to enjoy the very best of Disney World on this trip. However, it doesn’t have to be like this and for those of you that want to experience Disney World without actually visiting the main parks, you can still do this. Welcome to Disney Springs!! We are ready to share some of the best things to do at Disney Springs and hopefully inspire you to add this to your itinerary. 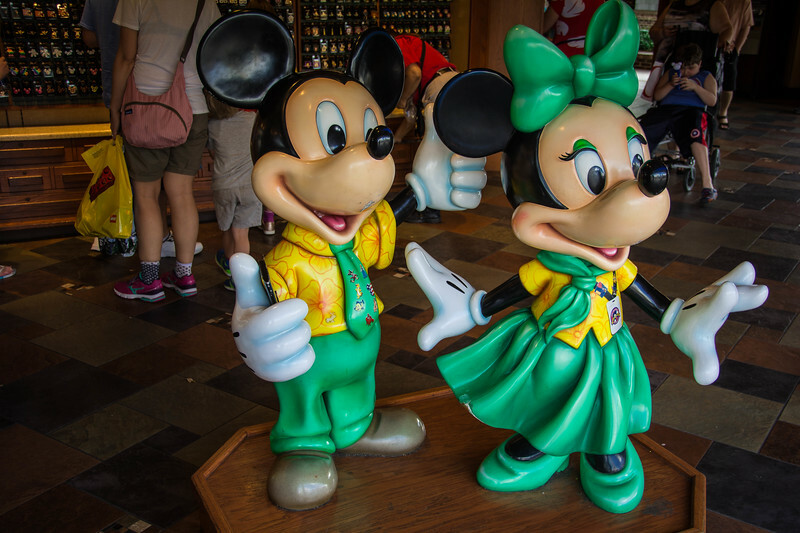 It’s true, Disney World is far from cheap and unless you are financially prepared and well organized for your upcoming trip to Orlando, it can quickly get out of hand. Even if you attempt to maximize your time as we did and experience Disney World in one day, as I am sure you are all aware, ticket prices to any of the parks (nevermind the Park Hopper passes!) are anything but affordable. Disney Springs is the exact opposite because admission into this area is FREE! We have been fortunate to visit this awesome “downtown area” of Disney on a couple of occasions and each time we realize that this is the perfect place to encapsulate the “Disney experience” without having to venture inside the parks. 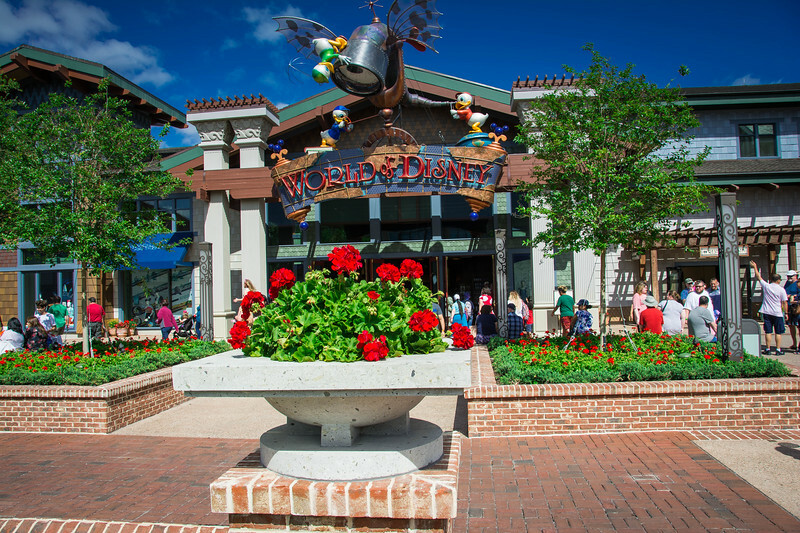 Let’s start with some basic information that will help you during your visit to Disney Springs. 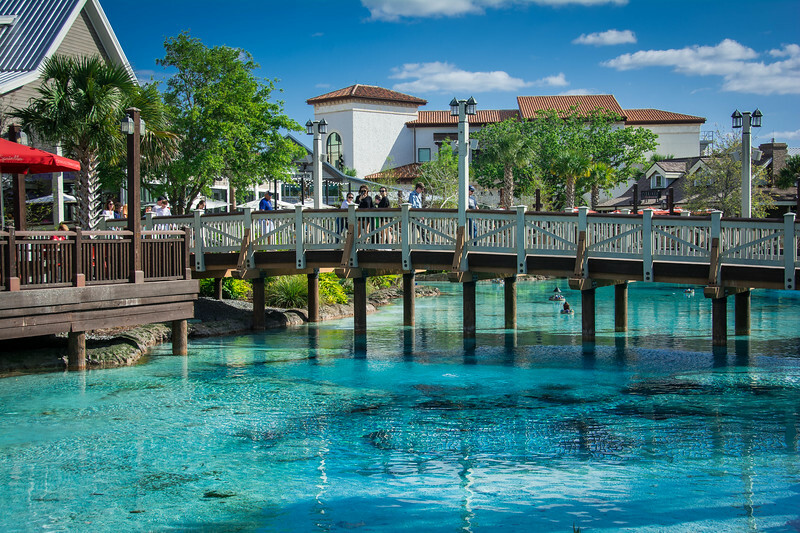 Whether you are planning a visit to Disney World or simply enjoying the best of Orlando, Disney Springs is a place that should be on your radar at any time of the day. Complimentary self-parking is available throughout Disney Springs. Two parking garages offer ample spaces and easy access while outdoor parking is also available for those that prefer that option. Preferred parking is available for $10 in the Lemon and Mango parking lots. Valet parking is available for $20. 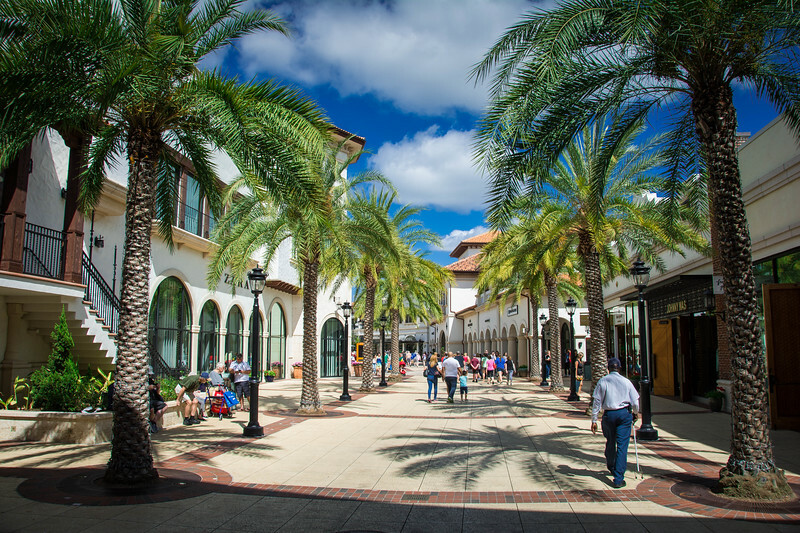 Disney Springs is an outdoor shopping, dining, and entertainment complex with a plethora of amazing things to do. It’s feasible that you could spend all day (or even multiple days) exploring the very best of Disney Springs and just to reiterate what I mentioned previously, the amount you choose to spend here is entirely personal preference. 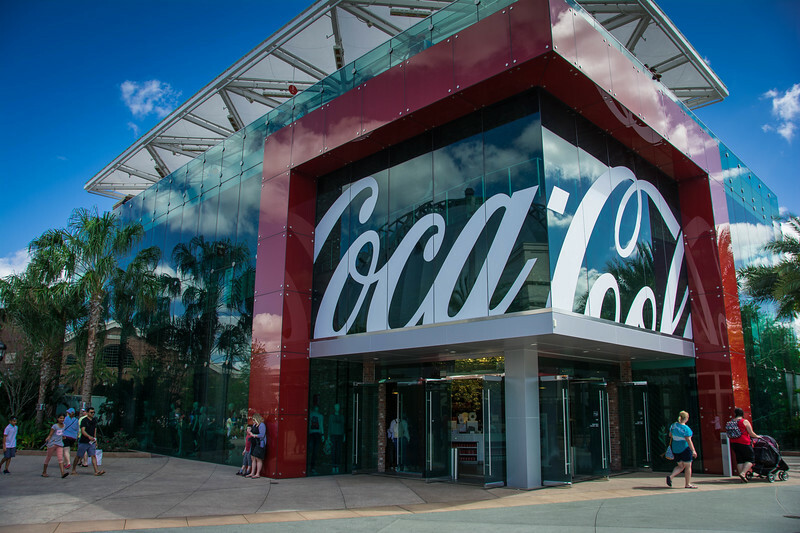 An eclectic blend of restaurants highlighting some of the best cuisine options from around the world can be found at Disney Springs while all your favorite designer brands have a storefront waiting to entice you through their doors. 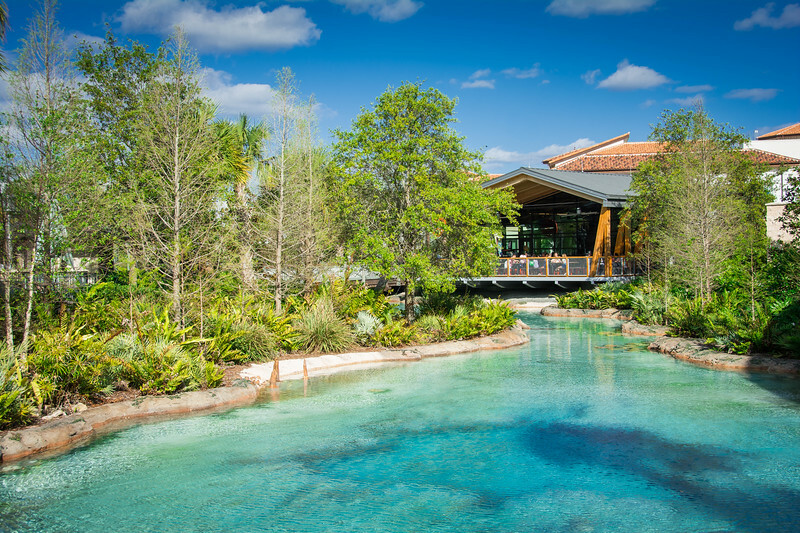 We will take a look at each of the different components separately but ultimately a visit to Disney Springs is all about a relaxing atmosphere and a myriad of options to ensure your Disney experience continues! 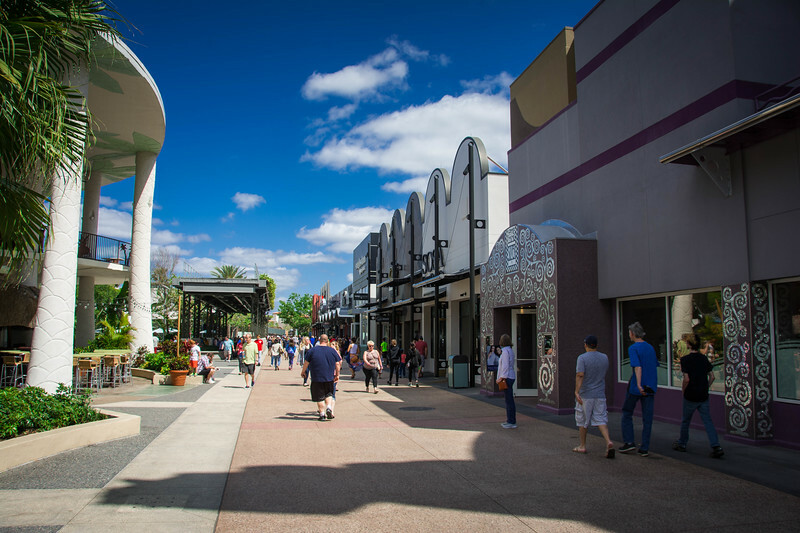 To put Disney Springs into perspective, it’s essentially a “sprawling promenade” similar to an outdoor mall with distinctive neighborhoods, each of which features unique experiences for all the family to enjoy. 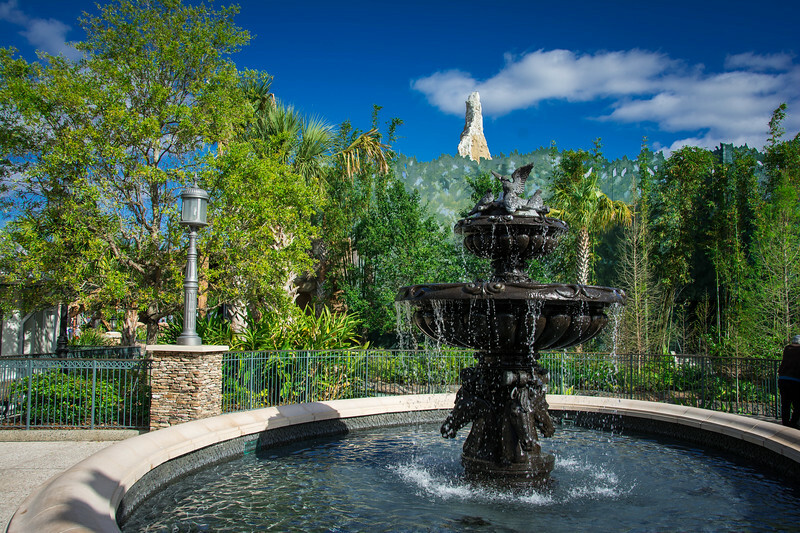 Disney Springs surrounds a number of water features, all of which combine to create the perfect environment for a relaxing visit. 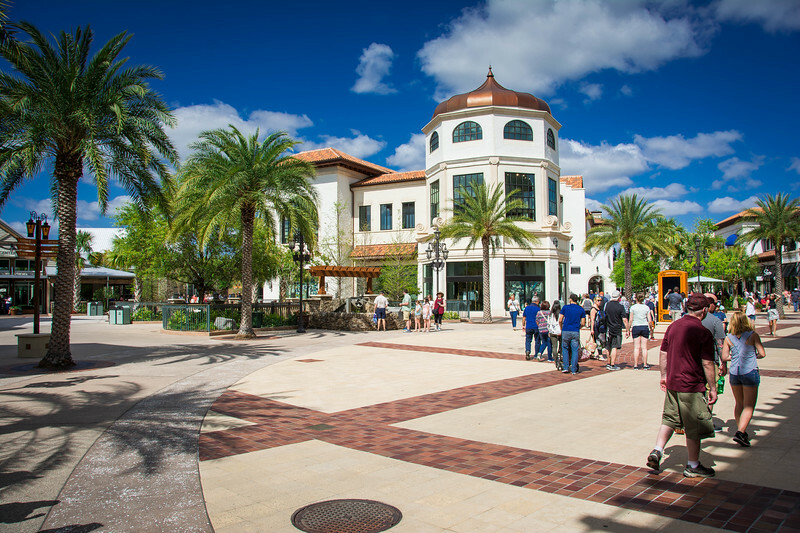 Disney Springs features The Landing, Marketplace, West Side and Town Center but collectively are in an area that you can easily explore in a few hours. Of course, you will likely want to spend more time here, as you won’t be able to resist visiting one of the many attractions. 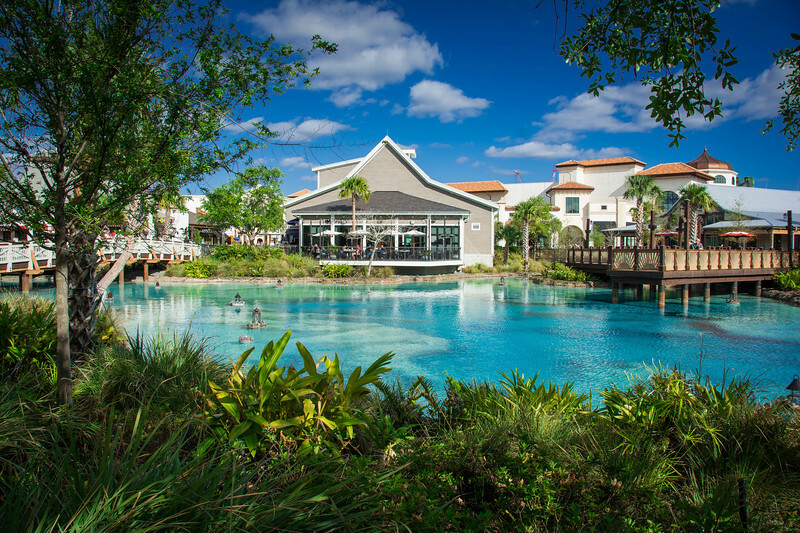 With over 50 dining options scattered throughout the promenade, it’s no surprise to hear that Disney Springs is a popular spot to visit if you are looking to enjoy a bite to eat. 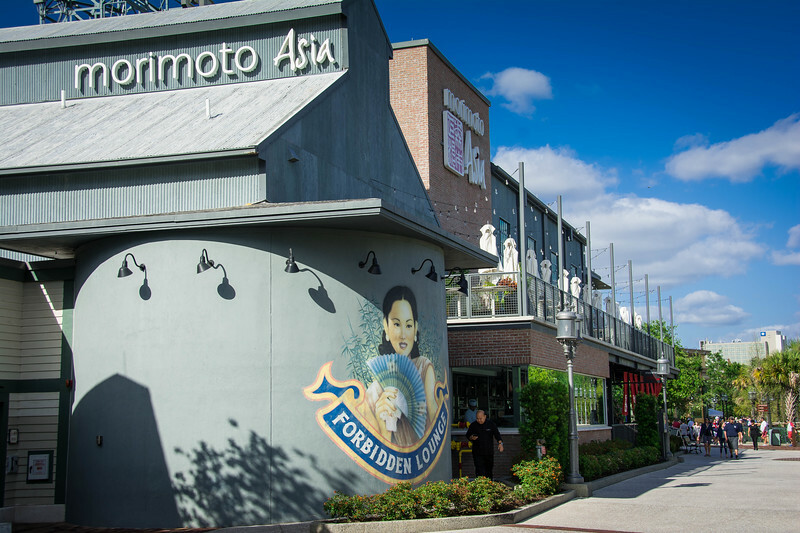 Whether you are looking to just grab something quick or possibly enjoy a romantic sit-down meal, Disney Springs will surely have something to satisfy your appetite. 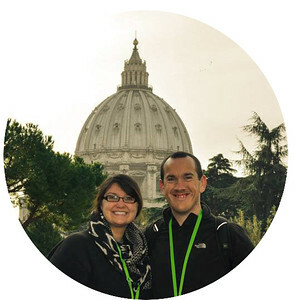 Let’s take a look at a couple of our favorite spots that we recommend. 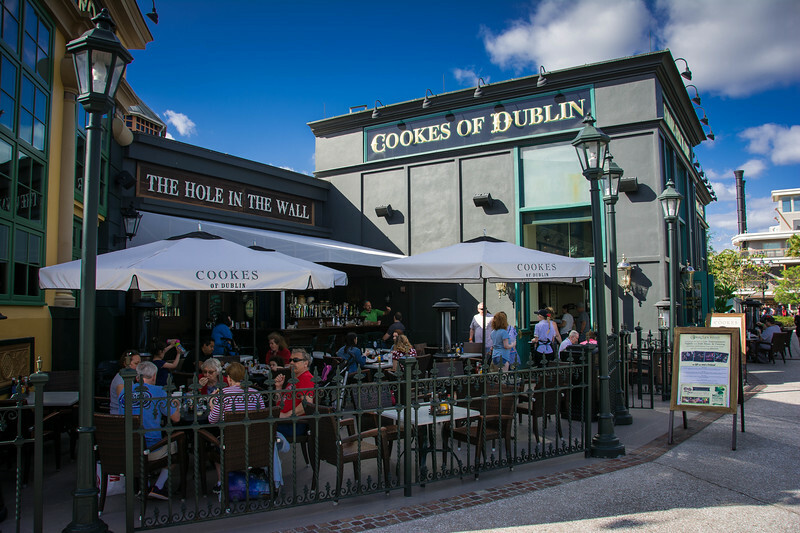 Are you ready for a truly authentic Irish experience at Disney Springs? 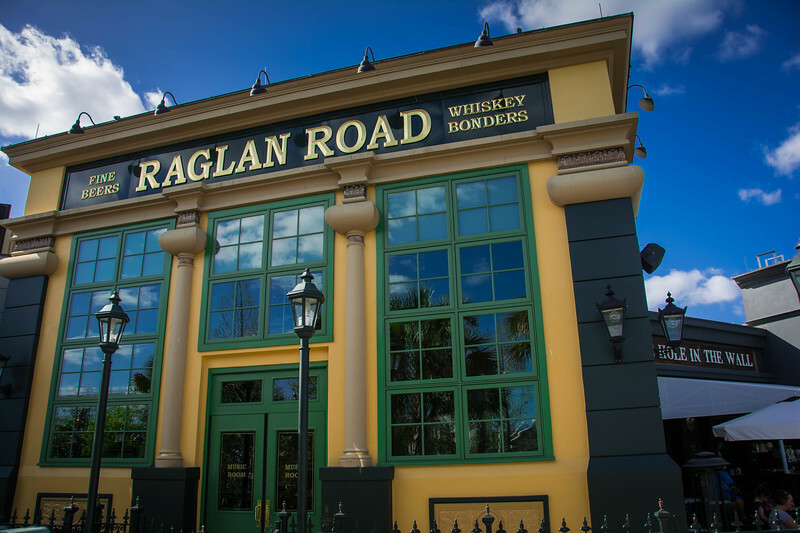 Head over to Raglan Road Irish Pub to sample some of the finest Irish cuisines throughout Orlando while enjoying a fresh pint of Guinness and being serenaded by stereotypical Irish folk music. If you are fortunate enough to visit Raglan Road during “The Rhythms of Raglan”, you will be rewarded with a 90-minute show featuring traditional Irish dancers. While enjoying this traditional music, be sure to take your time perusing the delicious array of menu options because the tough part will be figuring out exactly what to order. Fish and Chips is always a ‘grand’ choice in an Irish pub but perhaps you will be inspired to try the Shepherd’s Pie with a twist! If you are looking to enjoy authentic Italian cuisine while visiting Disney Springs, take a stroll through the promenade and visit Maria and Enzo’s Ristorante located inside the Landing Dock neighborhood. Traditional Spaghetti and Meatballs is always a great choice or perhaps you want a lighter salad option but regardless of your preference, enjoying a late-evening meal inside this ‘trattoria’ is definitely one of the best dining experiences at Disney Springs. 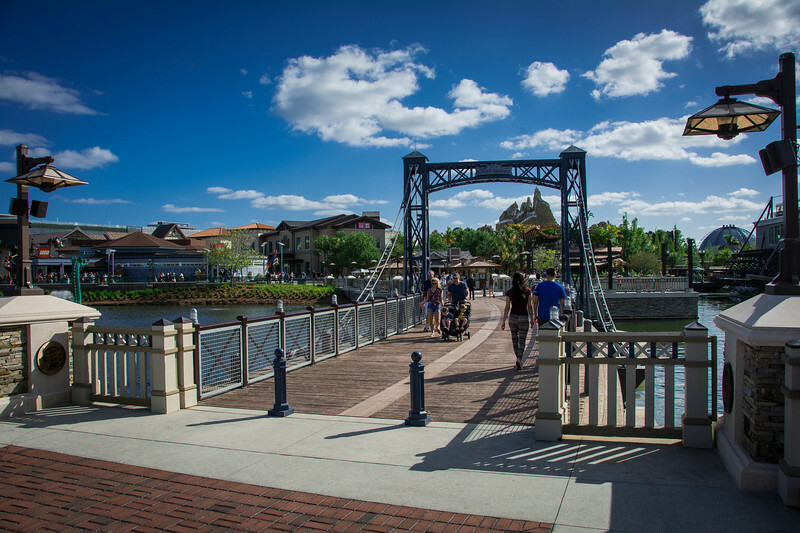 Disney Springs is also a great place to visit after you have already experienced lunch or dinner. Why not head here to sample a “sweet treat” and enjoy dessert while admiring the gorgeous surroundings? 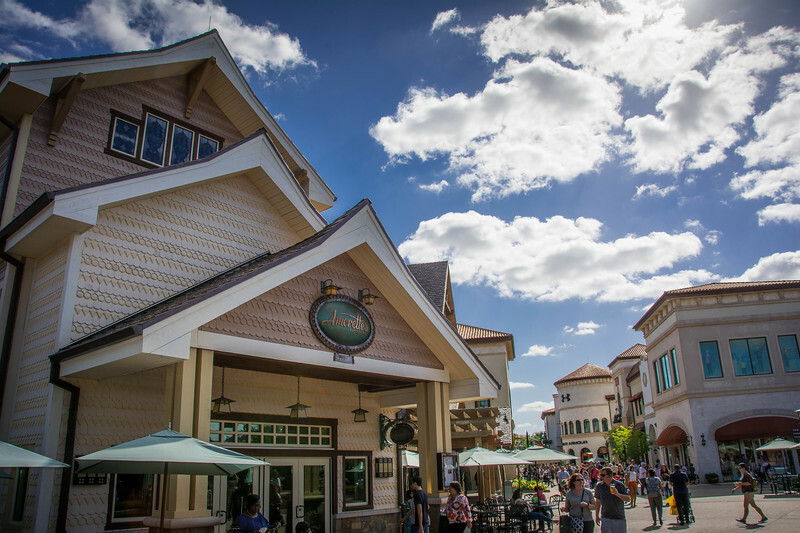 That’s right, Disney Springs is home to a diverse collection of cafes and restaurants that focus their attention on delivering the best desserts in Orlando. 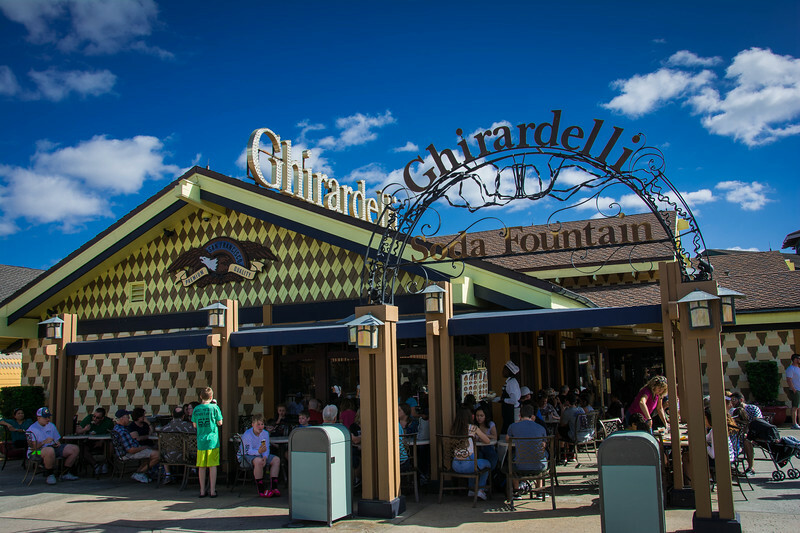 From decadent ice cream sundaes to delicious pastries from a French-inspired patisserie, Disney Springs is the place to go if you have a sweet tooth! 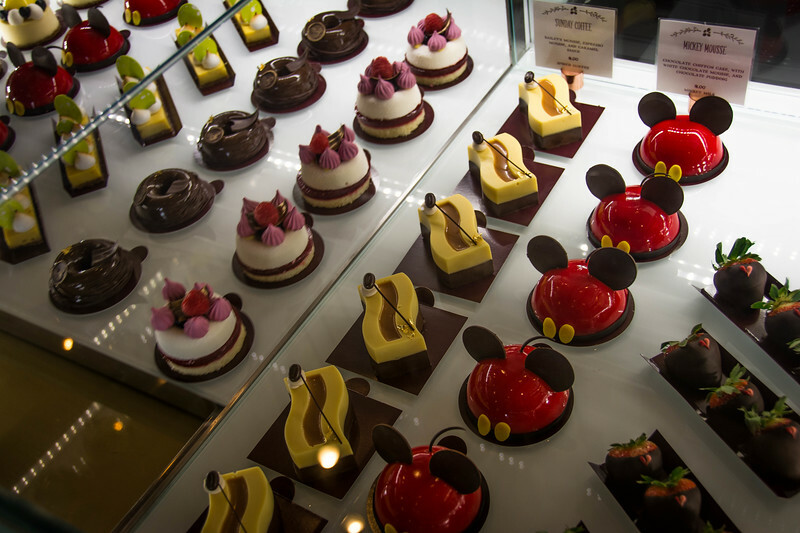 For those of you that prefer to do a little window shopping while exploring Disney Springs, there is one place that you cannot afford to miss – Amorette’s Patisserie. The moment you start peering through the front window, I am 100% convinced that you will be intrigued enough to step inside and indulge yourselves in the exquisite cakes, eclairs, and other sweet treats! A traditional ‘Mickey Mousse’ featuring a combination of Chocolate Chiffon Cake, Dark Chocolate Mousse, and White Chocolate Mousse is always an appealing choice, not only because of the aesthetic appearance but also the delicious taste. 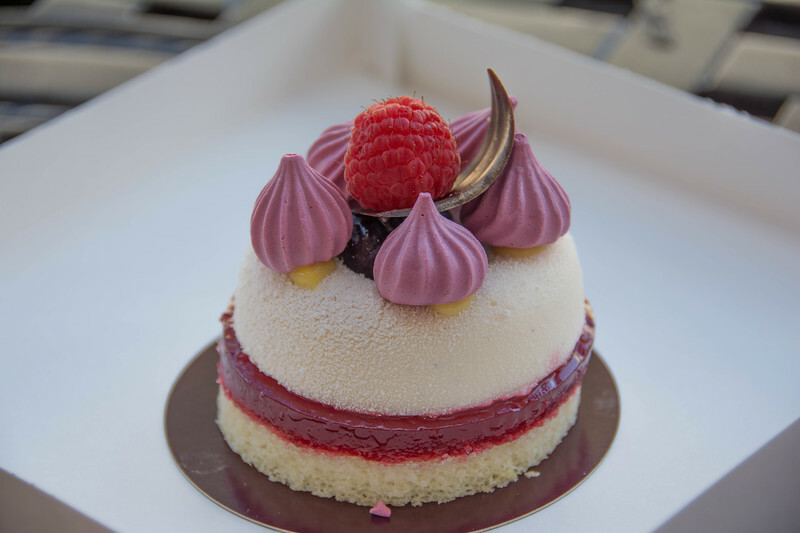 A variety of eclair flavors including Sea Salt Caramel and Raspberry are popular but it’s fair to say everything inside Amorette’s Patisserie is an appetizing option. After visiting Ghirardelli Square in San Francisco, it’s fair to say we fell in love with the ice cream and chocolate shop. The moment we noticed this same shop was in Disney Springs, we knew we had to experience this again. I’m going to warn you now, firstly it’s not cheap and secondly, once you have visited the first time, you will want to return over and over again! The million dollar question is…what sundae can you not resist the temptation of? The menu is pretty appetizing with plenty of tough decisions ahead of you! Looking for our top recommendation? The “Strike It Rich Butterscotch Hot Fudge Sundae” is AMAZING! 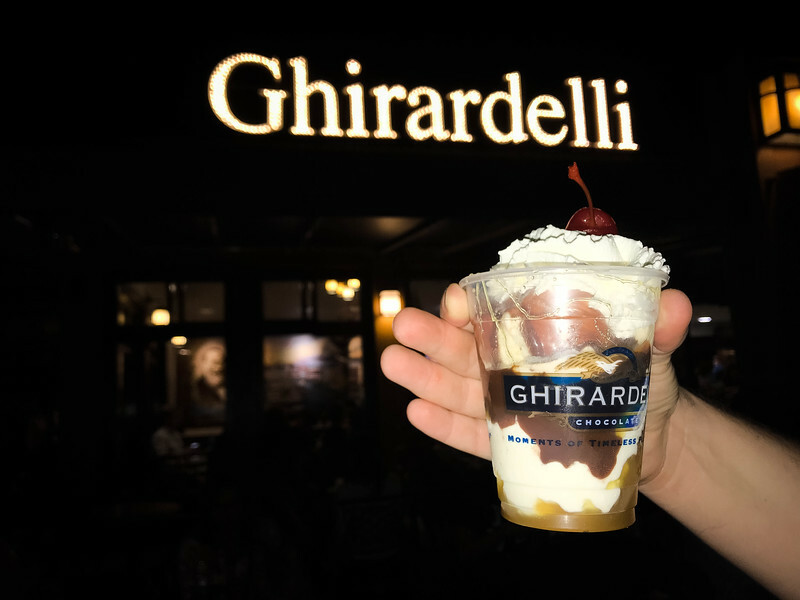 It’s a little on the “rich” side and each of the Ghirardelli sundaes is large enough to split between two people but it’s certainly a delicious choice. 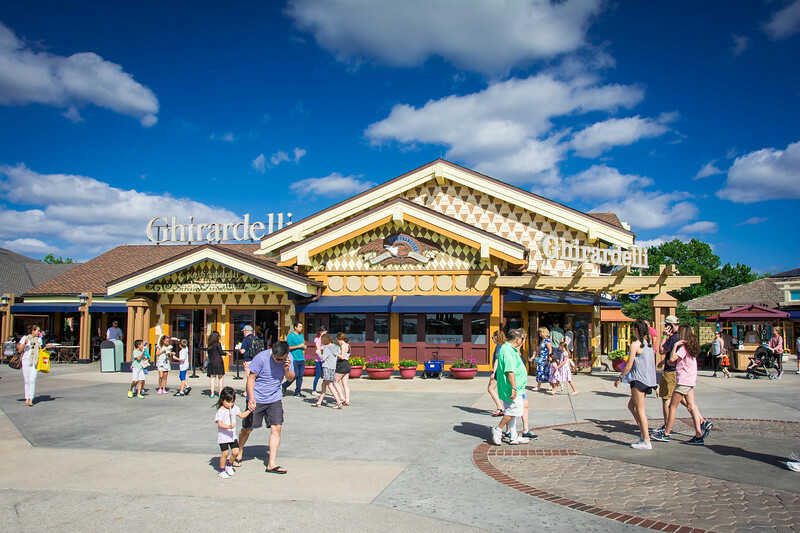 You can’t go wrong with anything inside Ghirardelli Ice Cream and Chocolate Shop! 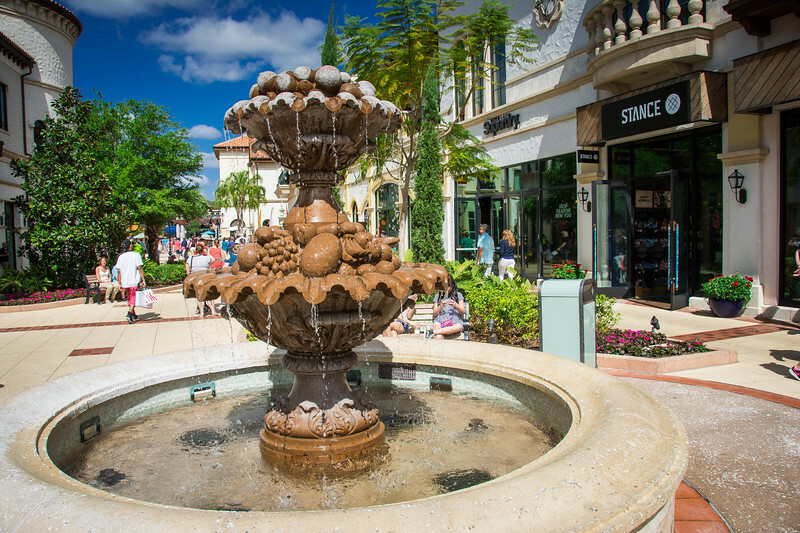 Disney Springs is not only home to a variety of designer brands but also several intimate boutique establishments that will likely attract the attention of those looking to enjoy a little retail therapy. If you are looking for merchandise at bargain prices, Disney Springs is probably not the place you are going to find this but you can certainly find a variety of Disney inspired products throughout a variety of stores. Kate Spade is undoubtedly one of Heather’s favorite stores wherever we go, so heading inside and stumbling across a number of Minnie-inspired purses, wallets, and even earrings were certainly something our credit card wasn’t prepared to handle. I almost forgot to mention that Disney Springs is home to the world’s largest Disney character store, with 12 rooms full of everything you could think of related to Walt Disney World. 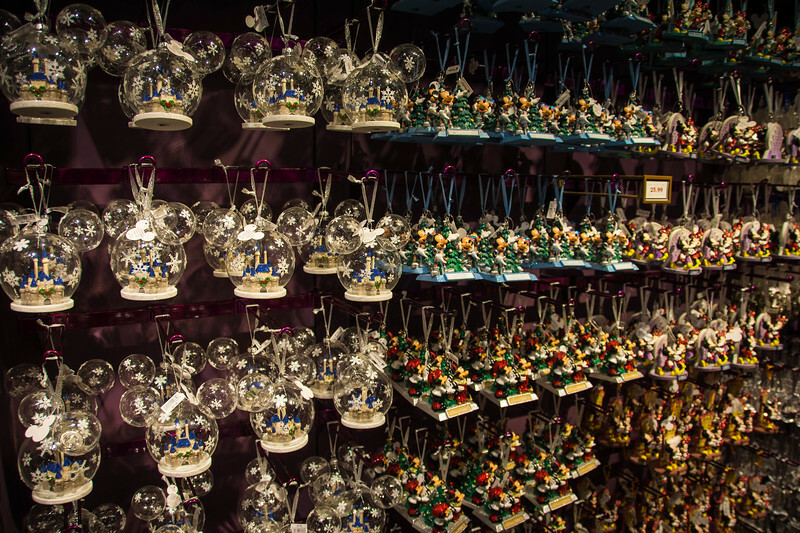 From apparel to collectible pins, this Disney Store is the ultimate pièce de résistance for all Disney shoppers. Again, don’t expect to find too many bargains here but it’s one of those places you cannot afford to miss (well perhaps your credit card may have other ideas!). 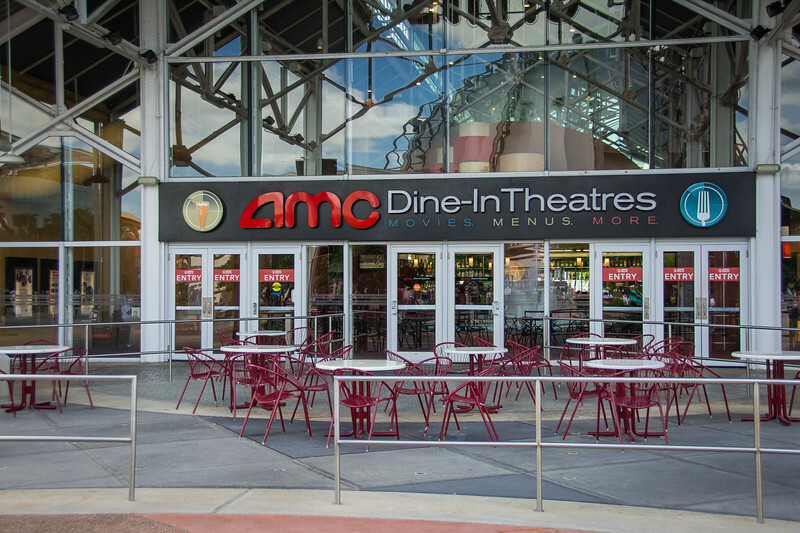 If shopping and dining aren’t enough for you, why not head to the on-site AMC Disney Springs Movie Theatre to enjoy one of the latest Hollywood hits. Not only can you enjoy a movie, this location is also home to a dine-in experience ensuring that visitors can experience a perfect night with dinner and a movie! Head on over to Splitsville Luxury Lanes for a late night bowling experience and you will quickly find that this takes the concept of ten-pin bowling to a whole new level. With plenty of cuisine options and live music to keep you entertained, this is definitely a great place to let your hair down and enjoy a night at Disney Springs. 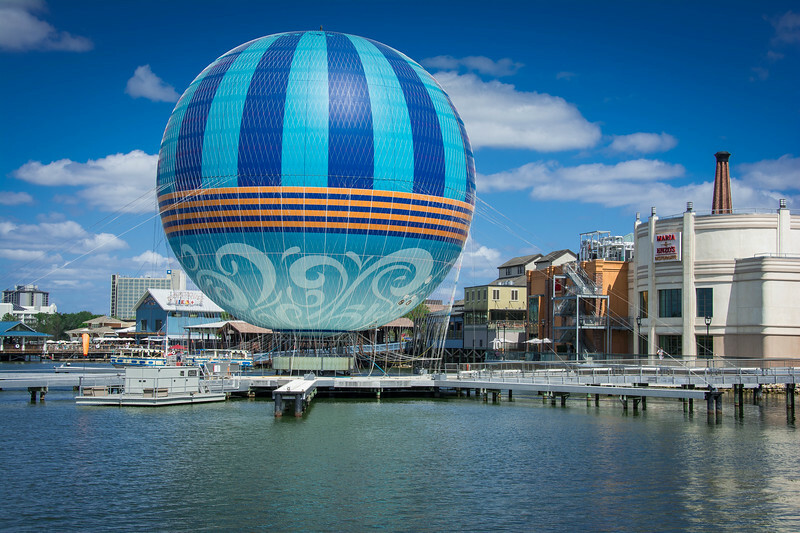 Disney Springs epitomizes everything there is to love about Walt Disney World in Orlando. The beauty, however, is that you don’t have to spend a fortune to actually experience the best of Disney Springs. Admission is free and beyond that, well it’s entirely up to you how much you choose to spend. A word of caution, Disney Springs isn’t cheap…at least in terms of the dining options and retail outlets. However, if you are simply looking to enjoy the atmosphere and feel part of the Disney experience without actually visiting the parks, this is 100% the best place to visit! We would love to hear your experiences at Disney Springs and whether you consider this a “must-see” location during any trip to Orlando…feel free to share your thoughts below! 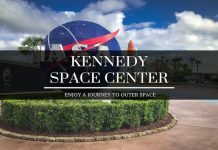 I haven’t been to Disney World since Downtown Disney became Disney Springs but it still looks like a fun place to visit if you’re into shopping and eating – which is sometimes a nice break from the parks for an evening or afternoon. It seems liked they’ve tried to cover all age groups so that families can enjoy themselves. Nice way to get a Disney fix! I’d like to wander Disneyworld once in my life and Universal Studios to compare with the parks I grew up with on the West Coast. This seems like a great option though if you’re in the area for any reason and it looks like the crowds are less punishing. Disney and Universal Studios are brutally expensive. It is nice to know there is a place to go where you can get a little bit of a Disney experience without destroying your bank account. Yes! 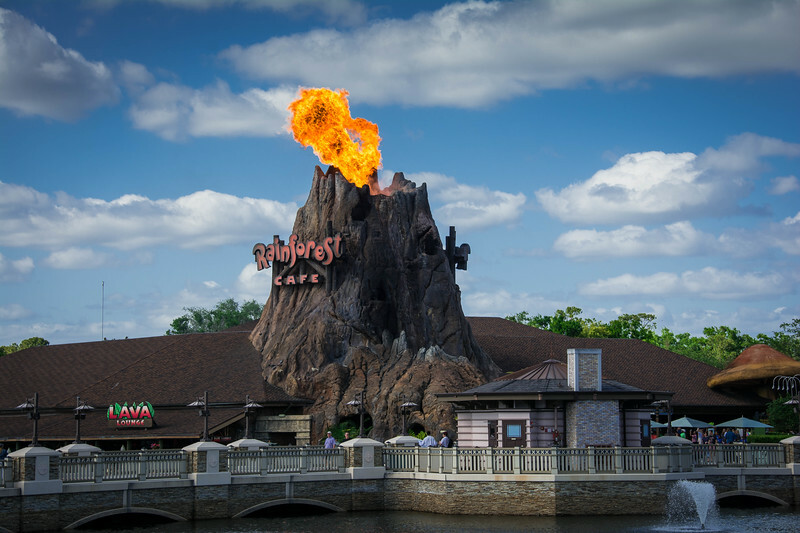 I was here many years ago and enjoyed the Rain Forest Cafe. And of course the massive Disney store where we wandered (for free!) a long time. The movie theater is a welcome way to rest your feet after several days of walking the parks. This area is similar to Downtown Disney in Anaheim. We always end up eating there and riding the monorail back into the park. And shopping at the Lego store! We love Disney Springs. Every year we go back there’s always something new. It’s great to dining and also having a few cocktails. The perfect destination to spend your holiday vacations with your family and friends..!!! Great place and post too.